23 Nov-31 Dec. Berlin's Christmas markets, set in the squares and streets of the city centre, have something for everyone. Breitscheidplatz market takes place in the area around the Kaiser Wilhelm Memorial Church in the western district of downtown Berlin close to the main shopping street, the Kurfürstendamm. Traditional hand-crafted toys and jewellery can be bought at the markets near the opera house along the Unter den Linden boulevard. The market in Alexanderplatz with its merry-go-rounds caters for young children, while the Gendarmenmarkt exhibits the work of painters, sculptors and carpenters. 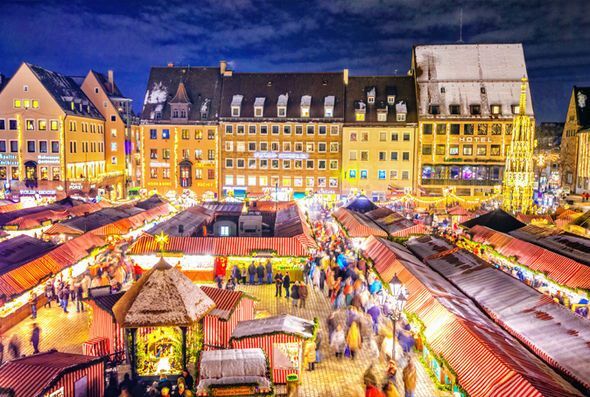 Each market is heavy with the festive scent of hot Glühwein wine and roasted almonds.